They say the best way to learn something is making it fun, and Enigeo tries to prove this theory with a bunch of quizzes. 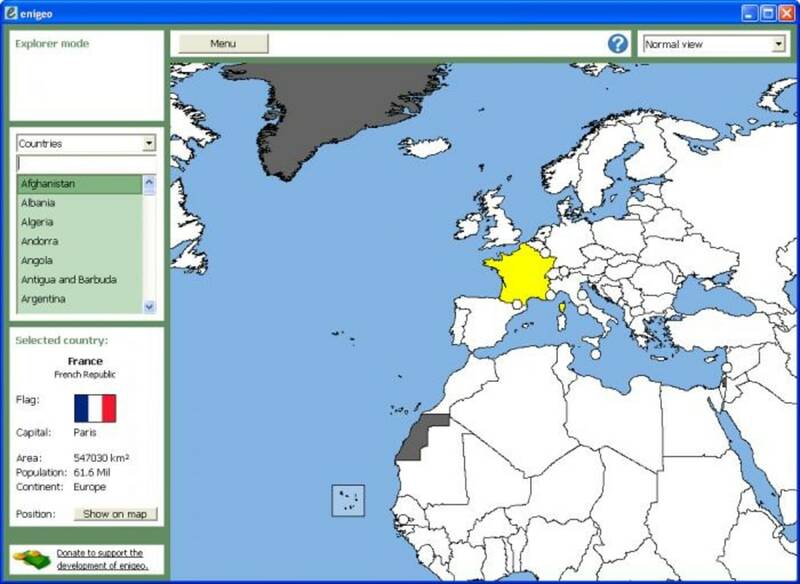 Enigeo lets you create customizable quizzes about Geography, including questions relating to country location, capital cities and flags. You can select what type of questions you want to be asked, as well as limit the number of questions and the map area they refer to – from just one continent to the whole world. Quizzes are very easy to take. Most answers can be provided by clicking with your mouse or entering short texts. 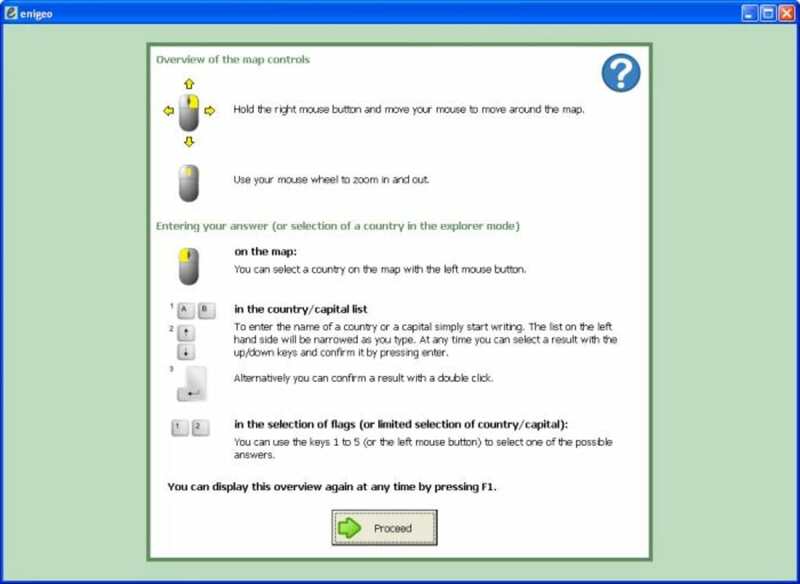 You can also configure the program to show you the correct answer in case you get it wrong, so you learn it for future occasions. 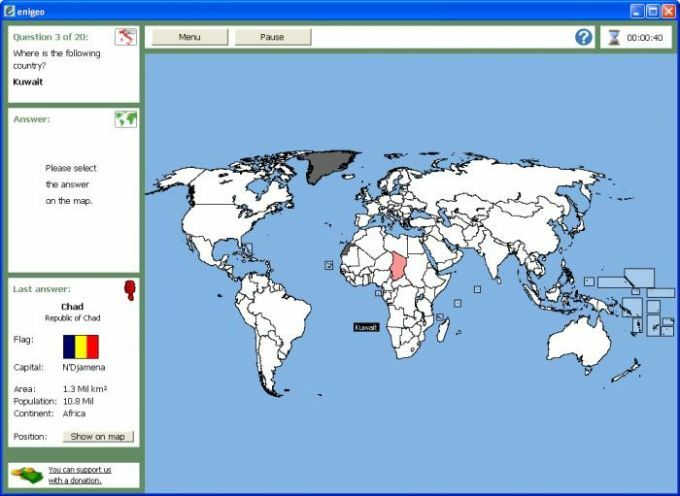 Besides quizzes, Enigeo also features a so called Explorer mode which you can use to browse the map and learn more about any country in the world. 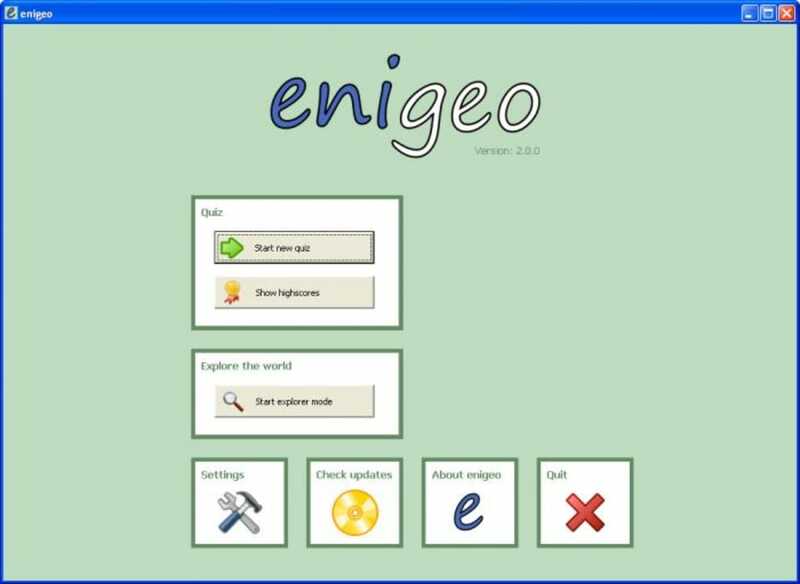 What you won't be able to do with Enigeo is export quizzes to other formats; they must be all solved within the program. Enigeo is a simple, fun way to learn more about all the countries in the world. What do you think about Enigeo? Do you recommend it? Why?